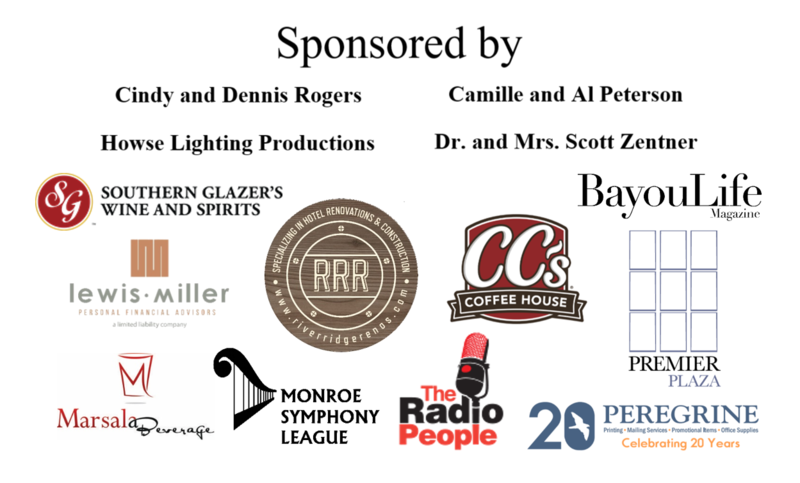 The Monroe Symphony Orchestra presents its first ever Juleps & Jazz fundraising event! Great food, fantastic drinks, grooving music, good friends, and did we mention, HATS? It is more than something fun to do on Derby Day. Tour the public areas of the house then make your way outside where you will enjoy a wide variety of delicious food and beverages, a complimentary selection of fine wines and spirits and fabulous music provided by the LA Jazz Quartet under the beautiful Horne House Pool Cabana. Juleps & Jazz promises attendees an opportunity to dress fabulously and participate in other exciting fun and games — all while supporting Northeast Louisiana’s only symphonic organization, the Monroe Symphony Orchestra. Ticket proceeds and other exciting on-site fundraising activities benefit the Monroe Symphony Orchestra and its community and youth programs. The King Stubbs-Horne House at 1608 N. 5th Street in the historic Garden District of Monroe features some of the most stunningly landscaped grounds and beautiful pools in the entire city. Monroe’s King Stubbs left his mark in northern Louisiana, as well as Arkansas and Mississippi. Born in 1909 he was a product of the Tulane School of Architecture. Upon graduation in 1932, Stubbs returned home to Monroe to practice. In 1947 he opened a firm of his own, and over the next almost forty years, produced some 600 projects. Stubbs was best known for his residential designs. Stubbs and/or his clients looked to the Georgian and Greek Revival styles. Some are big two story houses, while others are galleried cottages. Time and again Stubbs was able to achieve an element of stateliness in relatively small houses. ADA FRIENDLY: The King Stubbs-Horne House features easy access for those using walkers, rolling walkers, wheelchairs, Hoverounds and Hoveround-type mobility devices.